I thought that for today’s blog post, I would do something a little different for you guys. Quite often here on my blog I share with you reviews on my items and my monthly favourites, but I never really share my collective favourites and the things that I go back to time and time again, so I thought in this blog post, I would share with you some of my favourite beauty items that I reach for on a daily basis. I was planning on doing this about everything skincare, hair products and makeup, but that post would have ended up being as long as my arm, so I am keeping this one just to make up! I thought that I would mention this Charlotte Tilbury Magic Cream first, seen as though it is always the first thing that I put on my face in a morning. Before I tried this moisturiser, I really wanted to get my hands on it, but the high price tag really did put me off. I think that curiosity got the better of me in the end and I decided to just go ahead and buy this Magic Cream and I have to be honest and say that I think it is worth every single penny and I love to use this moisturiser. There are so many reasons why this has become so my most used and favourite moisturiser. I think the first thing that I need to mention about this Charlotte Tilbury Magic Cream is just how it makes the skin feel in general. At the moment, my skin is quite combination, I have dry areas around my face with an oily nose. This moisturiser, really does even out my skin, it makes it look the best that it can possibly look, without making me any oily than I already am. If you watch Charlotte Tilbury speak about this product, she really does make it seem like some kind of wonder product, but at the end of the day, it is just a lovely and thick moisturiser that goes onto the skin like an absolute dream and makes your skin feel so lovely. When I was thinking about what primer to mention, I was pretty torn between this Charlotte Tilbury Wonder Glow Primer or the Benefit Porefessional Primer. When I really thought about it, the Charlotte Tilbury Wonder Glow, is my most used primer and the one that I prefer to use out of the two. I had my eye on this for quite a while, but the price of it put me off. I think this was around £35, which for a primer, is quite a lot of money. In the end, I felt like the only person in the world who hadn’t tried it out, so I decided to get my hands on it and give it a go for myself. 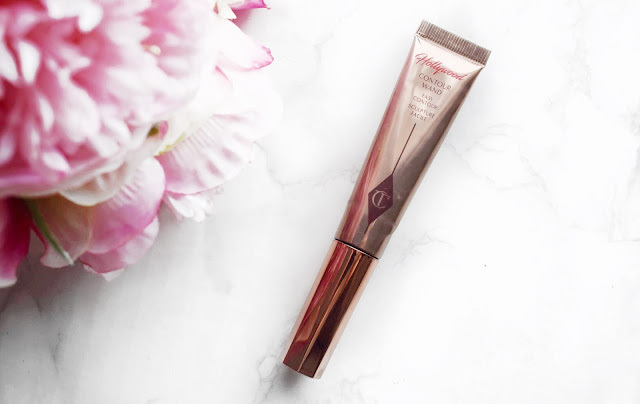 What is incredible about this Charlotte Tilbury primer and what keeps me reaching for it time and time again is how stunning it looks on the skin. With just a small amount of this primer, you skin looks plumped up, healthy and glowing. Even with a full coverage foundation on top, you can still see that this primer is absolutely stunning, and your skin looks so beautiful and healthy. I wear this every single day without fail, even on the days when I’m not wearing makeup, just to make my skin look the best that it possibly can. I know that I have mentioned this so many times over the years, but it really is stunning! I am sure that me mentioning this Nars All Day Luminous Weightless Foundation won’t come as a shock to many people, but I just love it so much. I wanted to try this foundation out for the longest time, but I didn’t think that it was going to work for me because of the name. I have always been an oily person, so normally foundations with the word ‘luminous’ in the name, just don’t work out for me. But, after falling madly in love with the Nars Sheer Glow Foundation, I knew that I had to finally buy this All Day Luminous Weightless Foundation. From the very first time that I used this foundation, I fell in love with it. First up, the coverage of this foundation is just absolutely incredible. To say that this is an incredibly lightweight foundation, the coverage is so incredibly full, and it rivals some of the thicker foundations that I have in my collection. I have the shade Syracuse in this foundation and it is the perfect match for my olive/medium skin tone. Since I bought this foundation at the end of 2017, I have hardly bought any other foundations because this is the only one that I ever want to use time and time again. I was torn between talking about this Tarte Shape Tape or the Urban Decay Naked Weightless Foundation. I had to go for the Tarte Shape Tape because it is by a mile, my most used concealer in my whole collection and the one that I have had to repurchase most often. I know that everybody and their mothers is still obsessed with this concealer and it is spoken about so often on the internet, but I really cannot get enough of it. Since I first tried this out, I have tried so many other concealers out, but nothing comes close to how this one performs and looks on the skin, so I keep going back to it. 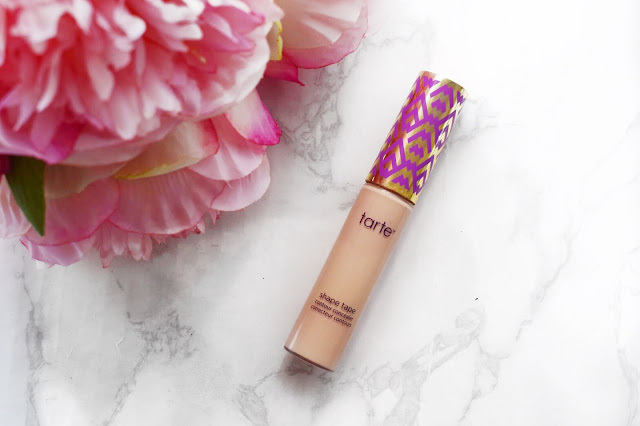 I am sure that you guys will know all about this Tarte Shape Tape Concealer, even if you haven’t tried it out for yourself, but this concealer is known for its high level of coverage. The underneath of my eyes is super sensitive, and it always shows just how tired I am, so having a full coverage concealer is essential to me and I love this one. It is beautiful and creamy and goes onto the skin like an absolute dream. I must have been using this for around 5 years now and I am still completely in love with it and I see such a transformation in my makeup when I reach for this! I didn’t know whether to include a cream contouring product because to be honest, I don’t always cream contour, but when I do, I like to opt for the Charlotte Tilbury Hollywood Contour Wand. From the moment that Charlotte Tilbury began to tease this product back in 2017, I knew that it would quickly become one of my favourite items and I wasn’t wrong about that. On the first day that it was released, I made sure to log onto the Charlotte Tilbury and buy one for myself. Since then, I have been using this and I always adore how it looks on the skin. I think the main thing about this Charlotte Tilbury Hollywood Contour Wand that makes me reach for it time and time again is how amazing and creamy it is on the skin. All you need to do is lightly dot this into place where you want to contour and then with minimal effort or blending, it looks absolutely gorgeous on the skin. I have tried many cream contouring products over the years, but it is safe to say that this is one of my favourites that I love to reach for. I know that this post has been pretty Charlotte Tilbury heavy, but that is just because I really do believe in the brand and love their products. This really was a no brainer for me and that is because I absolutely adore this RCMA No Colour Powder. I reach for this every single day without fail and it is my favourite translucent powder to use. I have tried many translucent powders over the years, but it is safe to assume that this is my all-time favourite. I am sure that you will have heard me mention this before, but that is just because the quality for the price is just incomparable to me and I love to reach for it. I used to use this back when I was a freelance makeup artist and now I use it on myself and I just adore this powder. I know that hell of a lot of people will have heard of this RCMA No Colour Powder because it has been all over the internet for such a long time. I find that this really is a marmite kind of product and people seem to either really love it like I do, or they absolutely hate it. I have been using this for years on end and for an everyday basis, I think it is sheer perfection. I will admit that in flash photography you can get a white cast, but just for going to work and back, this is perfect. It locks everything in place and lasts all day long, what more do you need! When thinking about a bronzer for this blog post, there was one that sprung straight to mind and that was the Benefit Hoola. I am sure that everybody has heard of this bronzer and even probably used it over the years and that is because it is a real cult classic product that has been so popular for many years. I feel like I was very late onto the bandwagon with this product and when I finally got around to trying it out, it was love at first swipe. I always put off buying this because I thought it would be too light for my skin, but when I got my hands on it, I quickly realised that it was perfect! 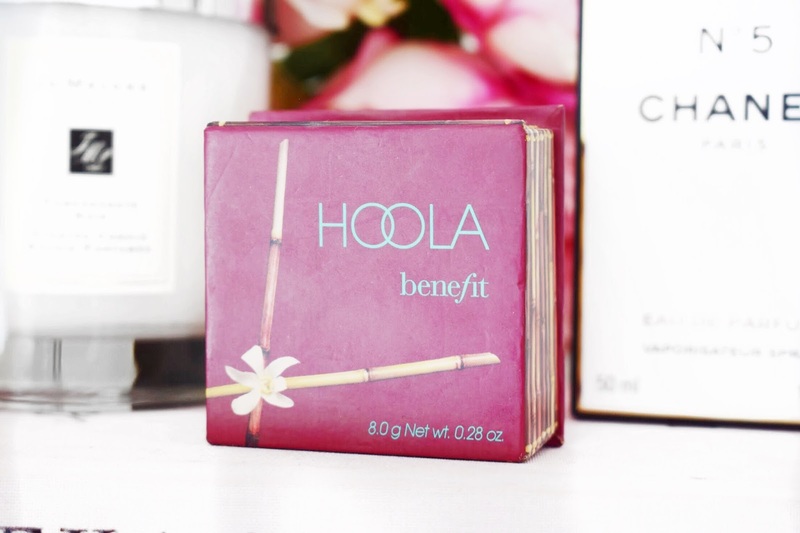 I know that everybody will know everything that there is to know about this Benefit Hoola Bronzer, but this is just the most perfect bronzer for an everyday basis. I think the tone of it is just to die for and I love reaching for it. For my medium skin colour, this is just a perfect and subtle bronzer that I love to reach for. I go in very liberally with this Benefit Hoola Bronzer, but because the shade is pretty light for my skin, I feel like it goes on like a dream and looks lovely on the skin. I tend to pair this with my trusty old Tom Ford Bronzer Brush and I feel like the two just go together so beautifully. Since I bought this Benefit They’re Real Mascara, I have made no secret about how much I love it and how often I reach for it. I even think that this has been in near enough every single favourite post since I first bought it. I had heard mixed reviews about this online before I bought it and I thought that the only way that I would find out if it was for me or not is by trying it out for myself. I think I even bought this with my Boots points to start with so it was like a free little treat for me which made it even better. From the moment that I bought this, I realised just how much I loved it and I reach for it all the time. I feel like to start with here, I really do need to say that this Benefit They’re Real Mascara is so longwearing and bloody hard work to get off. I can remember when I first wore this mascara and I tried to pick it off like I do with any mascara and it was so painful. I looked online and I found that lots of other people found the same thing. But, what I love about this mascara is how much it lifts my lashes and makes them look so beautiful and long. 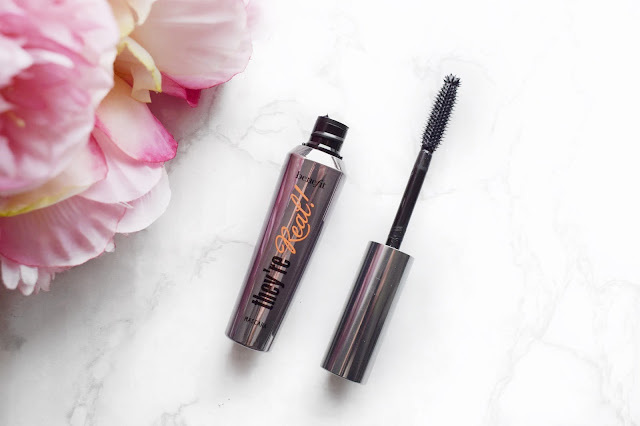 I have never tried a mascara that lifts and holds quite as well as this Benefit one does, which is why I love it so much. For brows, it has to be another Benefit product and that is their relatively new Precisely My Brow Pencil. I had my eye on this for such a long time, but I had so many other brow products on the go at the same time, I couldn’t justify buying another one. In the end, I was walking through House of Fraser and I saw this sat on the counter and I knew it was time for me to try it out for myself. From the first moment that I tried it, I fell completely in love with it and I finally threw out my Anastasia Brow Wiz that I have been using for years. What I love about this product is how soft it is and super creamy. I have tried many brow products over the years, all that are really stiff and hard to use. I feel like this Benefit Brow Pencil just hits every single nail on the head and it has the formula and colour pay off absolutely spot on. I reach for this on a daily basis because it allows me to get a really natural and feathered looking brow, which is what I am always looking for. I love how this pencil applies, feels and looks. This is a winner in my book and I have been using it for a couple years and I absolutely adore it. If I wear anything on my lips throughout the day, then the chances are that it is going to be this combination of the Charlotte Tilbury Lip Cheat in the shade Pillow Talk with Nivea Lip Balm over the top. On a daily basis, I never go crazy when it comes to my lips because I don’t want to look too glam, but I do want to define my lips. If you have followed my blog for quite a while, you will know that I love both of these products and I have used both of them for many years, so it will come as no surprise that I am mentioning them again here. They just seem to look so pretty together. I will grab my Charlotte Tilbury Lip Cheat in the shade Pillow Talk and roughly line the outer edge of my lips. I don’t want it to be too precise because my day to day makeup style is pretty laid back and relaxed. Then, once I have this in place, I will take my finger and blend it into the lips to give a natural kind of look. To top it off, I will just reach for my Nivea lip balm to add some moisture, stop my lips from drying out and to give my lips a natural looking gloss. I feel like this is a great combination and one that I love to reach for. How could I write this post without mentioning my Chanel No5. 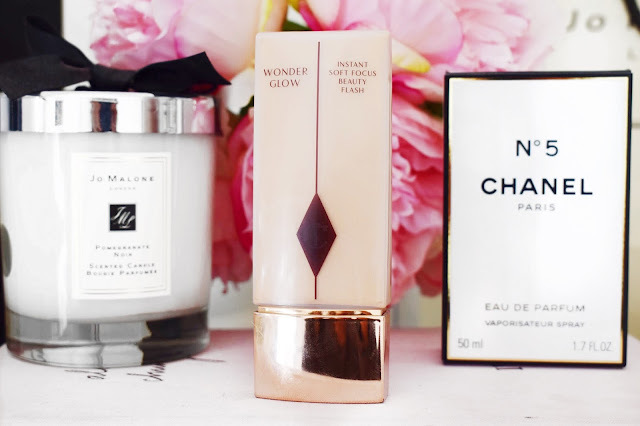 If you have followed my blog for some time, you will know that I absolutely adore Chanel No5 and it has been my go to perfume for a very long time indeed. I was around 7 when I first stole this from my mum and sprayed the whole bottle on myself and in my bedroom, from that moment I was hooked on it and it has been my go to perfume ever since. I just think that there is no denying that this is a truly iconic and beautiful perfume. I love to reach for this and I always get so many compliments whenever I have this on. So, there you have it. I know that most of these items will be no surprise to you guys, but I love these products and they really are my go to favourites. As normal, if you want to see my full review of anything, just click the name of the item above. I will leave a link to everything that I have mentioned down below in case you want to check them out for yourself. Make sure to leave me a comment down below and let me know if you have tried any of these items out and tell me what you thought! I feel like everyone love the Hoola Bronzer but on me it looks super orange ! Great post ! I think its probably because I have quite an olive skintone! Wonder Glow is just so amazing, it transforms the skin! Chanel No5 is my GO-TO fragrance. I’ve used it for the past 4 years and I Love it! Love this post! It is so classic, I love everything about it! 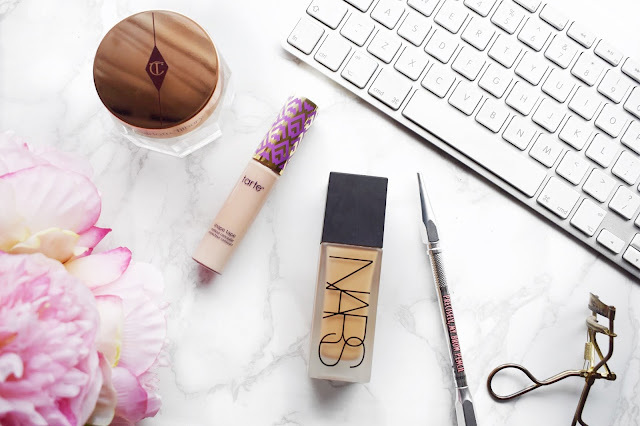 I cannot live without the tarte shape tape concealer and the new toofaced concealer! I also love the hoola bronzer though I own both shades. I know, the Tarte concealer is just out of this world! I really want to try that Nars foundation! I've used the Sheer Glow for years but I'm ready to change things up, do you find the All Day foundation overall better than sheer glow? I used to use Hourglass Brow Products but I am now completely obsessed with the Benefit range!